The UK Kung Fu School was founded by Neil McCarthy and teaches a system of kung fu based on internal and external systems. The School teaches a dynamic kung fu style that incorporates concepts and principles of fighting and self defence to create a style for you. Given this approach, regardless of age, gender and strength, the School philosophy is a creative style that works to strengthen your attributes and, whilst recognising your limitations, work to improve them. The style, at its simplest level of self defence and fighting, uses a centre line approach. Therefore early lessons develop the skills of protecting your centre line (eyes, nose, throat, stomach and groin) and if appropriate using these targets to disable an attacker. Once a basic understanding of these principle are taught, the depth of the style is endless. We believe that the only limitation you have will be your imagination, and once you begin to become creative in your thinking as a martial artist, we become your facilitators. We wholly encourage dissecting the style so you can take what works efficiently and effectively for you so that you become and efficient and effective martial artist. There are two sides to the style that make up the whole. Firstly the physical side will prepare you with numerous ideas and concepts to develop your body and give you techniques that will heighten your overall awareness. This will be in the form of patterns of movement which will strengthen your body and speed up reactions. This will also be in the form of sparring using both hands and legs either together or independently. 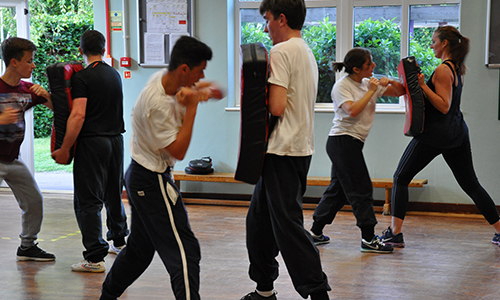 Basic punches, kicks, blocking, movement, pace, weight, control, pad work, sport arts and fighting arts, focus and feeling are just some of the ideas we teach. Undoubtedly, this alone will give you a great understanding of fighting and self defence principles as well as conditioning the body, gaining a sense of overall fitness and well being. Secondly, the School will also develop mental awareness that learnt along side the physical elements creates an all round style that in part or whole appeals to everyone. With in the mental elements, the use of chi gung techniques for meditation and health are used to relax and focus our minds and bodies. This may be on a day to day basis or specifically on fighting techniques. To be able to focus the mind in a confrontation we believe will enable you to be better prepared. Once there is an overall understanding of the physical and mental side of the style the next stage will be naturally on route to intermixing all aspects and to finally perpetually grow as a martial artist and as a person. 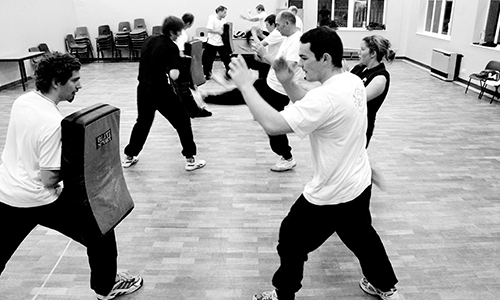 We believe that this approach to a fighting style and one that develops you as an individual is close to the core of many 'traditional' martial arts, now often watered down and incorrectly taught.